It’s been a hundred years and four months, give or take, since the events in Hand of Fate transpired. 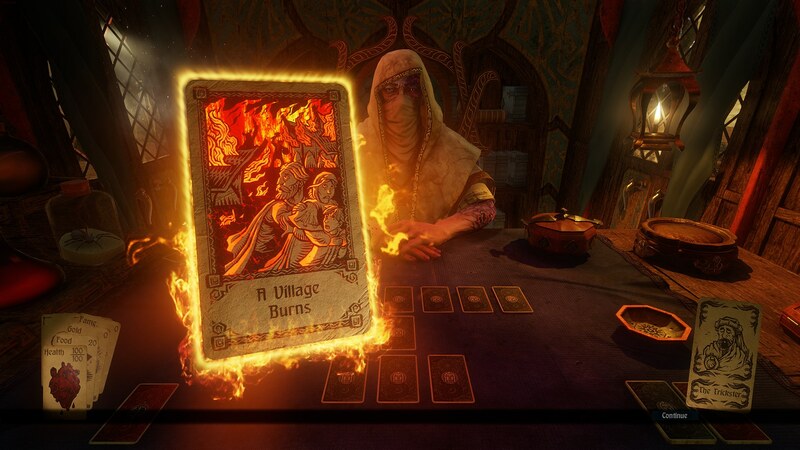 A lot has happened, including the story continuing in… wait for it… Hand of Fate 2. But while this release garnered much attention at the time, it has already been covered here. What I am about to share with you is pretty darn important too, though: Steam Workshop support has been added, and with it, the Game Master’s Toolkit! What makes this addition/release/update so incredible is the fact that, according to the developer, the Game Master’s Toolkit is what they used to create everything but the engine itself, I’d wager, meaning players now have access to something truly powerful. Very groovy stuff, and even though it’s been little more than a day since it became available, the workshop already has a fair amount of new content for Hand of Fate 2. Before you get started with the adventure you’ve always dreamt of creating, do keep in mind that first of all, while functional, the toolkit is still in beta (hint: bookmark the modding forum) and… you’re going to need Unity 2017.2.1f1 (which, for this particular purpose, is free). That said, go nuts. By all means, go completely crazy! New cards! Absolutely insane encounters! Whatever your heart desires, so long as it plays by the rules of the game. Hand of Fate 2 is available from Steam and GOG.com, carrying a $29.99 price tag (-15% for 45 hours, at the time of writing).